Paying for Influence – Which Should be Feared Most, the Kochs or George Soros? Home Congress Paying for Influence – Which Should be Feared Most, the Kochs or George Soros? Judging from Senate Majority Leader Harry Reid’s nearly daily diatribes on the floor of the U.S. Senate, George W. Bush has been retired as the most despised villain, and the cause of all the evils that plague the world. Bush has been replaced by the Koch (a Dutch name, pronounced “Coke”) brothers who are often maligned by the left for their pecuniary influence in politics. Since those on the left are not equally malevolent toward George Soros, who does the same thing, it’s clearly not the money in politics that bothers them — it’s the ideology. 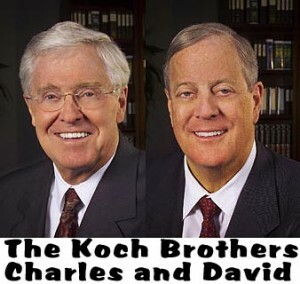 David and Charles Koch are brothers who run Koch Industries, an oil refinery business that is the second largest private firm in the country. The brothers are tied at number 6 on Forbes top billionaires list with personal net worth of about $41 billion each. They’ve expanded and maintained their fortunes by successfully providing the refined product that keeps America moving – oil. 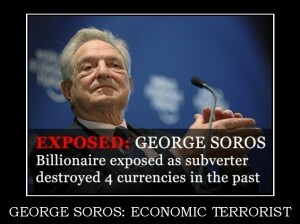 George Soros is chairman of Soros Fund Management, a hedge fund company. 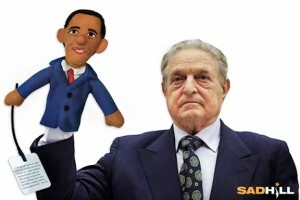 Soros is number 27 on Forbes list with a net worth of $23 billion. He’s made his fortune in large part by selling short against international currencies and collapsing financial institutions. In 1997 he was dubbed “the man who broke the Bank of England,” and he was blamed by the Malaysian Prime Minister for collapsing their currency during the Asian financial crisis. He was also convicted of illegal financial dealings in France. His big bet now is collapsing the U.S. dollar and the free enterprise system. The Koch brothers and Soros spend lavishly in politics. They support individual candidates, contribute to political party campaign funds, lobby politicians, bankroll political action committees, and have established foundations and think tanks to influence politics. The Kochs spend by far the most, but the bulk of it goes to lobbying. The Open Society Institute is one of George Soros’ organizations, and they provide part of the funding of OpenSecrets.org, so even realizing that their data may be skewed toward a more pejorative coverage of the Kochs, I’m going to rely on their data. According to Open Secrets, the Koch brothers have spent, or as liberals typically describe it, “invested” over $50 million in lobbying from 1998-2010. During that same time, Soros and his primary Lobbying organization, Open Society Policy Center, spent about $13 million. But from here the money for political influence gets a little more shady. From 2001 to 2010, the Koch brothers invested $1.5 million in other political groups, called 527 organizations, compared to Soros’ whopping $32.5 million. The Cato Institute, the Koch’s crown jewel, was established 40 years ago with seed money from Charles Koch, and his brother David still serves on the Board of the organization. Cato is recognized as the sixth most influential think tank in the nation, and number 14 internationally, with its scholarly and empirically documented research. They also have contributed significantly to the Reason Foundation, publisher of Reason Magazine, applying reason and logic to economic and personal liberty issues. Nobel laureate Milton Friedman strongly supported the Foundation. And with a grant of $30 million, the Koch brothers were instrumental in the establishment of the Mercatus Center at George Mason University, with similar objectives. George Soros runs the Open Society Institute and the Soros.org website, and contributes heavily to many organizations that ideologically are aligned with leftist causes, including Moveon.org. He is reviled abroad for his shady efforts to foment revolution and collapse currencies. His “foundations have been accused of shielding spies and breaking currency laws, and he’s invested over $400 million in institutions of higher education to promulgate and teach his extremist ideology. 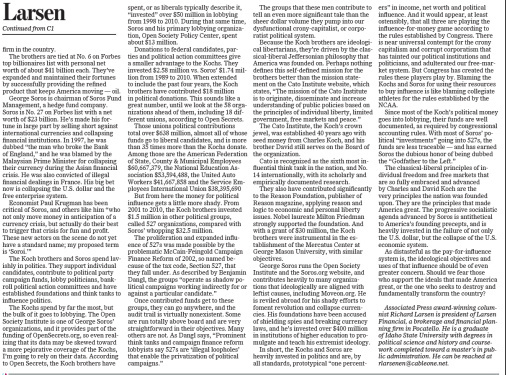 In short, the Kochs and Soros are heavily invested in politics and are, by all standards, prototypical “one percenters” in income, net worth, and political influence. And it would appear, at least ostensibly, that all three are playing the influence-for-money game according to the rules established by congress. There is near universal contempt for the crony capitalism and corrupt corporatism that has tainted our political institutions, and politicians, and adulterated our free-market system. But congress has created the rules these players play by. Blaming the Kochs and Soros for using their resources to buy influence is like blaming collegiate athletes for the rules established by the NCAA. The classical-liberal principles of individual freedom and free markets that are so fully embraced and advanced by Charles and David Koch are the very principles the nation was founded upon. They are the principles that made America great. The progressive socialistic agenda advanced by Soros is antithetical to America’s founding precepts, and is heavily invested in the failure of not only the U.S. dollar, but the collapse of the U.S. economic system. As distasteful as the pay-for-influence system is, the ideological objectives and uses of that influence should be of even greater concern. Should we fear those who support the ideals that made America great, or the one who seeks to destroy and fundamentally transform the country? One Response to Paying for Influence – Which Should be Feared Most, the Kochs or George Soros?